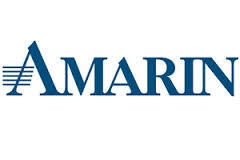 Cantor Fitzgerald analyst Louise Chen maintained a Buy rating on Amarin (AMRN) today and set a price target of $35. The company’s shares opened today at $21.23, close to its 52-week high of $23.34. According to TipRanks.com, Chen is a 5-star analyst with an average return of 13.8% and a 42.3% success rate. Chen covers the Healthcare sector, focusing on stocks such as Bausch Health Companies Inc, Aridis Pharmaceuticals Inc, and Amneal Pharmaceuticals Inc. The word on The Street in general, suggests a Strong Buy analyst consensus rating for Amarin with a $32.75 average price target, representing a 54.3% upside. In a report issued on March 13, Citigroup also maintained a Buy rating on the stock. The company has a one-year high of $23.34 and a one-year low of $2.35. Currently, Amarin has an average volume of 8.33M. Amarin Corp. Plc is a biopharmaceutical company, which focuses on the commercialization and development of therapeutics for cardiovascular health. Its product development program leverages its experience in lipid science and the potential therapeutic benefits of polyunsaturated fatty acids. It has developed and markets Vascepa capsules through wholesale.